Farmers and livestock breeders in the province of Setif are in state of alert following the reporting of the 1st foot-and-mouth disease (FMD) cases in this eastern province. According to our sources from the Directorate of Agriculture, 2 new cases were recorded in Al-Ula and Ain Walman. The 2 cows were killed following the confirmation of FMD, but according to some sources there are other cases. Informed sources reported a decision to ban the movement of cattle, including the gradual closure of livestock markets. Transportation of cattle to slaughterhouses is liable to official veterinary permits. Butchers, who used to sell fresh meat in the market, were expelled and prevented from offering it for sale under any circumstances. On the other hand, the Directorate of Agriculture in the State of Setif has taken all measures to contain the disease and prevent its spread. According to Ali Zararqa, the Director of Agriculture for the State of Setif, more than 200 veterinarians have been recruited in 60 municipalities where vaccination continues before the arrival of the disease. [The introduction of FMD into Setif, which is situated about 200 km (about 124 mi) from the Tunisian border (map at http://tinyurl.com/lswqt8v), has been reported to the OIE on 10 Apr 2017 (see archive no. 20170411.4963314). According to the notification, the causative agent was identified by Algeria's Central veterinary laboratory (National laboratory) as FMDV serotype SAT1, a serotype never reported from any Maghreb country before. However according to the Algeria page of the World Reference laboratory for FMD (Pirbright), accessed on 19 Apr 2017, this serotyping was regarded as "unconfirmed" as of the said date (see at http://www.wrlfmd.org/fmd_genotyping/africa/alg.htm). We have learned from a reliable source that this outbreak is most probably caused by the same FMDV serotype A strain which was reported earlier from FMD outbreaks in 3 Algerian provinces eastern to Setif (interactive map at http://www.oie.int/wahis_2/public/wahid.php/Reviewreport/Review/viewsummary?fupser=&dothis=&reportid=23442). The said outbreak reportedly started on 24 Mar 2017 (see archive no.  20170331.4939480). The strain was eventually identified as FMDV serotype A, topotype Africa, lineage G-IV (for additional data, please refer to the commentary in archive no. 20170411.4963314 and to http://www.wrlfmd.org/fmd_genotyping/2017/WRLMEG-2017-00028-Algeria-A-current-v2.pdf). In case the information above on the final serotyping of the Setif outbreak is definitely confirmed, an official rectifying report from Algeria is expected, to be posted separately. According to other media sources, large quantities of imported vaccines have been distributed throughout Algeria for urgent vaccination of cattle, but they are, reportedly, of the serotype O vaccine strain. Heterologous vaccines are not expected to protect the animals against the circulating field strain, namely A Africa G-IV. Acquiring matching vaccines for emergency mass-vaccination of the fully-susceptible livestock population is urgently needed, particularly in view of the approaching Ramadan month, which is due to begin in the evening of Fri 26 May 2017 and end in the evening of Sat 24 Jun 2017 (approximate dates). Hopefully, matching vaccines are commercially available; otherwise, an homologous vaccine will have to be produced, a time consuming (and costly) procedure. In addition, the use of heterogenous vaccine strains, not capable to protect the naive animal population, may negatively affect the vital trust and cooperation of animal owners during future vaccinations. Morocco has taken preventive measures to protect livestock after the re-emergence in Algeria of foot-and-mouth disease. 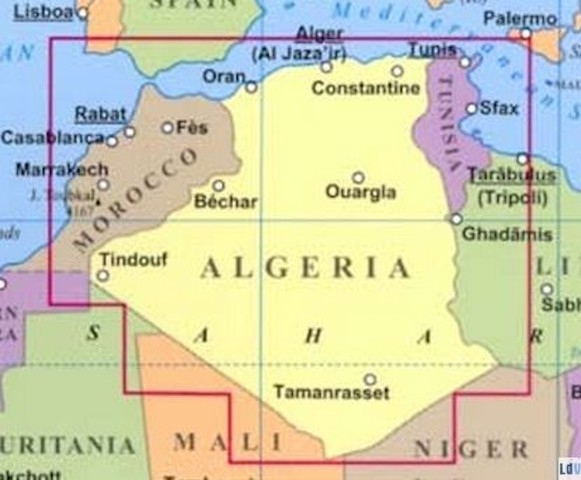 "Following the reappearance in Algeria of several outbreaks of foot-and-mouth disease reported by the Algerian veterinary authorities in some provinces of the country and associated with the virus serotype A, Morocco immediately took the preventive measures necessary to protect the national herd", the National Office of Food Safety (ONSSA) said in a statement on [Sat 16 Apr 2017]. This involves strengthening surveillance of the national livestock population with regard to this disease, in particular in the border areas, with the intervention of the ONSSA veterinary services and the mandated private veterinarians, in collaboration with the Authorities. ONSSA also will seek information from local authorities in neighboring provinces to strengthen border control in relation to illegal introductions of animals and their products. There will also be a ban on all imports of animals, animal products of animal origin from that country, in addition to the mobilization of ONSSA laboratories for the rapid diagnosis of this disease in case of suspicion. Similarly, the necessary arrangements will be made for the vaccine to be available as soon as possible in order to carry out a national campaign for the vaccination of cattle against serotype A. Since 2015, ONSSA has carried out annual campaigns to vaccinate bovine herds against FMDV serotype O that appeared in Algeria in 2014. These campaigns reinforced the immunity of the herd and totally controlled the disease at national level. According to ONSSA, the health status of the national herd is good and no case of foot-and-mouth disease has been reported in Morocco for the time being. Tunisia is barricading itself. This country of North Africa has indeed declared a state of health emergency throughout its territory after the discovery of outbreaks of foot-and-mouth disease in Algeria. The information which was relayed this [Sat 16 Apr 2017] by the Webmanagercenter information site, emanates from a statement of the Tunisian Ministry of Agriculture. Citing a local official in the border region of El Kef, the information site indicates that, in order to avoid the spread of the epizootic of foot-and-mouth disease on the Tunisian territory, "a careful monitoring of the situation is carried out in all Border areas." The Tunisian Ministry of Agriculture's statement stresses that Tunisia has decided to reinforce border control with Algeria and to tighten the fight against the smuggling of livestock to prevent the spread of the disease on its territory. A vaccination campaign for livestock, including cattle and sheep, and disinfection of the wheels of vehicles coming from Algeria will also be carried out.